Many of you, who have danced this week, have almost certainly experienced some moments of joy, had our heart rates rise, exercised our smile muscles and made a new connection or two. Which of your friends, colleagues and family members deserve the same? We, in London, are the lucky ones. If you have any ability to help others, this week please consider donating to the DEC appeal for Indonesia. New members may be unaware that along with the listing of salsa lessons, courses and events, our news sections are stuffed with articles and advice. The health section is particularly popular, containing healthy recipes for dancers, unsurprisingly including one for a salsa. Remember, you burn 100’s of calories an hour whilst dancing! Don’t be tempted to put all those calories back on in a few unhealthy snacks, high in sugar, fat and calories. Try to have healthy snacks and meals to hand, especially when you know you will be busy or have a long night ahead. This salsa recipe would be perfect to come home to! Fresh fruit and mints are part of the offering in Barnet on Friday, along with lessons in salsa (cuban and crossbody), bachata, semba and kizomba, followed by a social. 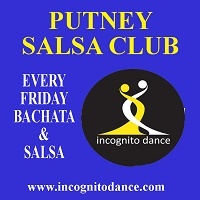 Putney starts with a bachata session before classes for all levels in salsa and an enjoyable social. A feast of salsa (you can see I'm thinking of food this week) awaits those in and around London for Saturday. As you know, you can claim a members offer at many venues. 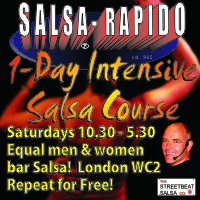 Every Saturday you are welcome to mention London Salsa at Bar Salsa in Charing Cross, Soho for the all-day intensive salsa beginners workshops to take £5 off the cost -- and you are welcome to repeat the course for free. The Criola Kizomba monthly party in Chalk Farm, Camden, which has a blue theme comes with 10% off when you mention London Salsa. 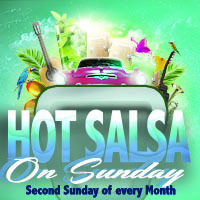 This Sunday brings live music to Richmond, which has 4 hours of dance and a special offer for London Salsa members. 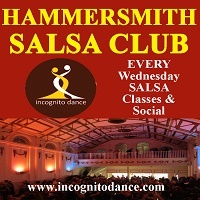 In Fulham there is the monthly party with Incognito, where bachata and salsa lessons are followed by a social. Weekly drop in classes and longer structured courses abound in most boroughs midweek. Why not try out a couple and discover the one that fits you best. 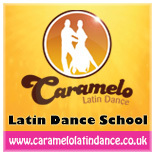 There is a 241 offer on salsa and bachata lessons in North Finchley on Monday. It is busy, buzzy and bonkers but enormously fun to learn to salsa in Camden with Streetbeat. 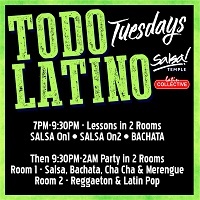 In Temple, there is a free intro to salsa session before all level classes in salsa and bachata. 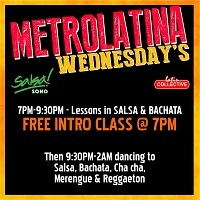 There is always a free intro to salsa session at Bar Salsa in Charing Cross on Wednesday, whilst quoting LS126 in Hammersmith also gives a free first timer offer. If your dance diary needs filling beyond this week, why not add some of the upcoming events to your scrapbook? Following my personal statement last month, disappointingly I have to report that we have not attracted the support required to keep the network alive fully. My thanks go to the technical team, who are returning us to a previous hosting solution. We know it is less stable but it really is the only way for us to continue offering any level of service.